Eastern Pennsylvania Soccer Association (EPSA) is having an anniversary banquet this weekend that will include the introduction of the inaugural class of the Eastern Pennsylvania Soccer Hall of Fame. Here’s a look at the founding of the EPSA, originally known as the Foot Ball Association of Eastern Pennsylvania and District, on April 11, 1913, six days after the founding of the United States of America Football Association, known today as the US Soccer Federation. On Monday, April 7, 1913, the Philadelphia Inquirer reported, “Coming together in the interests of general harmony and having in view for their chief object direct representation in the International Federation, soccer football delegates from all parts of the country met at the Astor House in New York last Saturday night and formed the United States of America Football Association.” Thus was born what we now know as the US Soccer Federation. The founding of the Foot Ball Association of Eastern Pennsylvania and District, known today as the Eastern Pennsylvania Soccer Association, was intimately tied with the founding of the US Soccer Federation. 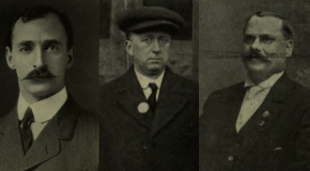 Indeed, those Philadelphia soccer administrators who proved to be such a crucial force in the founding of the federation would be among Eastern Pa. and District’s first leaders. Philadelphia’s first organized league, the Pennsylvania Football Union, had been founded in 1889. By 1913, the Philadelphia soccer scene was recognized as one of the most vibrant and best organized in the US. At the time, the city was home to five senior leagues. The professional Pennsylvania League, founded in 1900, stood at the top of Philadelphia’s soccer pyramid. The Allied American Football Association (AAFA), founded in 1910, featured three divisions of teams mostly based within Philadelphia but also from nearby Bethlehem, Reading, Chester, Marcus Hook, and Wilmington. Additionally, the AAFA was the organizational force behind the city’s Allied Amateur Cup Competition, founded in 1909, which was, along with the Crowhurst Challenge Cup (1904), a knockout-tournament styled after the FA Cup. Also in the city were the Cricket Club League, founded in 1902 and made up of two divisions, the American League of Association Football Clubs (1912), and the United League (1912). Dozens of teams met every Saturday match day in and around the city through a season that spanned from October through April. At the youth level, the Philadelphia Grammar Schools League, founded in 1908, was divided into three districts: Kensington, Northeast, and West Philadelphia. Two other youth leagues, the Philadelphia Junior League (1912) and the Northeast Junior League (1910), included independent youth clubs as well as teams associated with some of the city’s leading clubs. Area soccer leaders had also demonstrated their forward thinking in creating standards for match officials through the Referees Association of Philadelphia, which had been founded in 1904. The organizational skills of Philadelphia soccer administrators proved crucial in the founding of the USFA. The need for a national governing body had long been recognized for everything from the settling of disputes between rival leagues and associations, to managing the growth of both the amateur and professional game, encouraging the development of youth soccer leagues, the creation of a national team for participation in the Olympics, and in the promotion of the game through the organization of national tournaments. At the time, the closest thing to a national governing body for soccer in the US was the American Football Association (AFA). Founded in 1884, the AFA organized the American Cup tournament, a competition that, before the creation of what is now known as the US Open Cup (National Challenge Cup, 1913), was the de facto national championship for soccer. But the reach of the AFA, headquartered in Newark, New Jersey, never extended any further west or south than Philadelphia. The American Amateur Foot Ball Association was founded in October of 1911 in an attempt to govern the amateur game and immediately met with resistance from the AFA. Both organizations applied for recognition from FIFA, which had been founded in 1904, but the international governing body was reluctant to become involved in a domestic dispute and so ordered the AFA and American Amateur Foot Ball Association to settle their differences. Each association formed “peace” committees but hopes for reconciliation were dashed in December of 1912 when the AFA dismissed its “peace” committee. American Amateur Foot Ball Association organizers then contacted leaders of Philadelphia’s Allied American Football Association — “conceded to be one of the largest and best governed amateur organizations in the country,” in the words of the 1913 Spalding Guide, the national soccer yearbook of the day — to assist in the creation of a new national governing body for soccer. Allied Association president John B. Farrell and association secretary Oliver Hemingway, thanks in part through the efforts of Referee’s Association of Philadelphia president Douglas Stewart, soon agreed to break from the AFA and back the new national organization, going so far as to pay half the expenses of what would be the founding meeting of the USFA. When the various representatives of soccer organizations from the East Coast and as far west as Michigan, St. Louis, and Utah met at Astor House in New York City on April 5, 1913, the Inquirer reported Stewart “was in the chair.” Also in attendance were Farrell and Hemingway, as well as C. Blamphin of Philadelphia’s Cricket Clubs League, and Haverford College’s Dr. James A. Babbitt, secretary of the National Collegiate Athletic Association. After the founding meeting on April 5, 1913, Farrell would serve on the committee that drafted the USFA’s constitution. When the new organization held its first election in June of 1913, Hemingway was elected first vice president. Hemingway also served on the inaugural organizing committee of the National Challenge Cup, known today as the US Open Cup. Philadelphia’s soccer leaders were quick to demonstrate their support of the USFA, announcing the formation of the Foot Ball Association of Eastern Pennsylvania and District only six days after the founding of the USFA, making it, along with the Philadelphia’s Allied Amateur Cup tournament, one of the federation’s original affiliated associations. Eastern Pa. and District’s first president would be J. Alfred Frost. Before immigrating to the US, Frost had played for Sheffield Wednesday in England and later became a referee in the Sheffield area, including officiating FA Cup matches. In Philadelphia, Frost had long experience in leadership positions at both the club and league level. At the national level, Frost had also been a member of the AFA’s “peace” committee. After the founding of the USFA, Frost was named the first chairman of the USFA finance committee. There he worked with fellow finance committee member Hemingway, who had been named Eastern Pa. and District’s first vice president. By 1915, the association had the largest membership of any soccer association in the country and was comprised of ten local soccer organizations — including the Lehigh Valley’s Blue Mountain League — representing some 142 clubs with more than 3,000 registered players. Of our large membership and position in the U.S.F.A. councils we have cause to be proud. We have also reason to be proud of our clubs and players. We have not only the largest and the pioneer Referees’ Association on our rolls, but we have scholastic, club and college teams also on our rolls. Our club teams have a high position in the country, one of them, at least, the Bethlehem Steel Works team, having won in open competition the two highest championships of the country, that is, the National Challenge Cup and the American Cup. 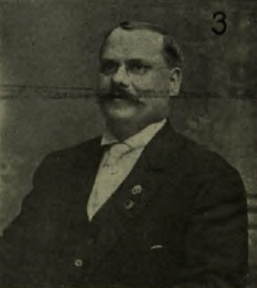 Stewart, who was elected Eastern Pa. and District president in 1915, would oversee the association’s activities through the challenging days of the First World War. By 1921, he was first vice president of the USFA. The impact of the Eastern Pa. and District on the early history of soccer in the US after the founding of the USFA was as immediate as it is difficult to overstate, as a review of some of the achievements of its members over the 25 years following its founding makes clear. Seven of the 40 clubs that entered the first US Open Cup tournament in 1913-14 were Eastern Pa. and District affiliated clubs. While no area team advanced beyond the quarterfinals in the tournament’s first edition, Bethlehem would win the second edition of the national championship, going on to win the tournament four more times before its demise in 1930. Bethlehem’s national championship run actually began in 1914 when it won the first of six American Cup titles. Playing as Philadelphia Field Club in the inaugural 1921-1922 season of the new professional American Soccer League, Bethlehem won the league’s first-ever championship, winning the ASL title again in 1926-1927, and the breakaway Eastern Soccer League title twice after that. 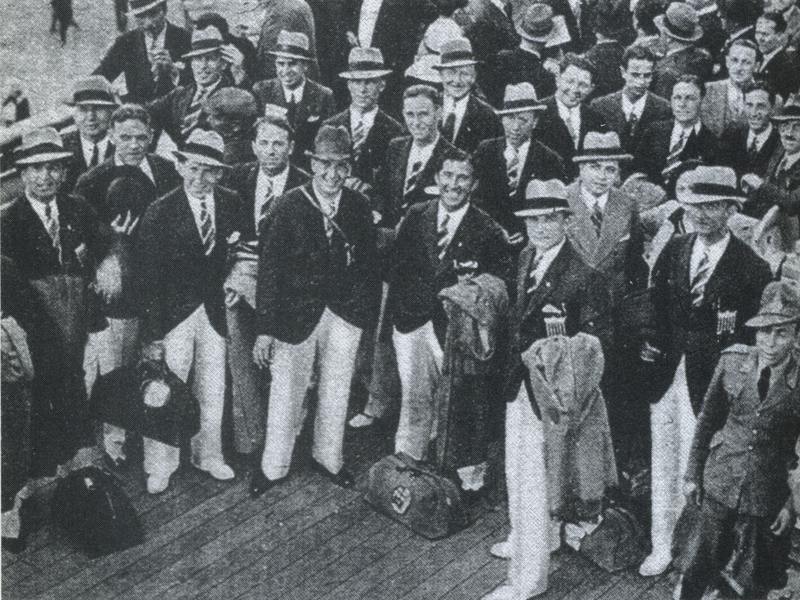 The first officially recognized US national team was formed in 1916 for a tour of Scandinavia. Five of the 14 players came from Eastern Pa. and District clubs — Disston AA, Putnam FC, Philadelphia Wanderers, and Bethlehem Steel FC — with two more players having previous connections to area teams. In 1919, Bethlehem became the first US club team to tour in Europe, following in the US national team’s footsteps in Scandinavia. Philadelphia’s Fleisher Yarn team became the first-ever National Amateur Cup champion in 1924, the same year it won the penultimate edition of the American Cup tournament, the final edition of which was won by Bethlehem in 1924. In 1924, eight players from Philadelphia clubs were on the US team at the Paris Olympics, four from Fleisher Yarn, and two each from Fairhill FC and Disston FC. The team’s coach — we would call him a trainer or fitness coach today — was George Burford, physical director with the Pennsylvania Railroad’s YMCA. 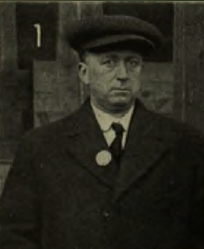 Elmer Schroeder, director of all teams at the Lighthouse Boys Club from 1917 through 1931, was second vice president of the USFA when he managed the US national team at the 1928 Olympics in Amsterdam, with Burford again the team’s coach. On the US team were three Philadelphia players, two from Lighthouse and one from Wolfenden Shore FC. As the federation’s first vice president, Schroeder was with the US team in Uruguay when the US finished third in the first World Cup. On the team was the Philadelphia Cricket Club’s James Gentle. In 1933, Schroeder became the first American-born president of the USFA, serving for two years. During that time he was also manager of the 1934 US World Cup team. 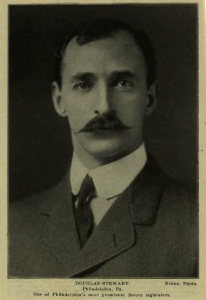 That team was coached by David Gould, who was on the John A. Manz team that won Philadelphia’s first American Cup championship in 1897, was later involved with Referee’s Association of Philadelphia, and had a long coaching career at the University of Pennsylvania. Five players on the 1934 US team came from the Philadelphia German Americans, including team captain Francis “Hun” Ryan, who had also been on the 1928 Olympic team. The German Americans won the National Amateur Cup in 1933 and in 1934, the same year they won the World’s Fair Championship in Chicago. In 1936, they became the first amateur team to win the US Open Cup. Nine German American players would be on the US team that Schroeder managed at the 1936 Olympics in Berlin. Such success was built upon the development of youth players, most notably by the Lighthouse Boys Club. A veritable factory of top US players, Lighthouse would go on to win the national U-19 championship, known today as the James P. McGuire Cup, five times between 1938 and 1967. Along the way, it produced at least seven National Soccer Hall of Famers. Such honors would continue in the years that followed the association’s first quarter century, from the youth to the senior level. And while the Foot Ball Association of Eastern Pennsylvania and District would eventually change its name to the less unwieldy Eastern Pennsylvania Soccer Association, and grow to include the Eastern Pennsylvania Youth Soccer Association, it’s commitment to the purpose originally described by the Philadelphia Inquirer in 1913 — “to foster and develop the game of soccer football” — would remain. I love these articles. Foot Ball. Very interesting article. It’s nice to know that Pennsylvania had such a big role in the beginnings of U.S. soccer. Whats even more interesting is how, with all of this support and interest in the game (i.e. # of clubs, players, associations, governing bodies etc. ), did soccer become such a marginalized sport during the rest of the 20th century. Sure MLB was around, though nowhere near as popular as today even. The NFL wasn’t even a concept for another 40-60 years. The most popular (American) football teams were college traveling teams. I mean was soccer at that time just an immigrant thing? When the immigrants eventually became assimilated, did soccer become a lost by-product, discarded on the side of the road? Or was it a lack of immigrants due to American restrictions on immigration after the early years of the 20th century. Maybe all of these factors and/or more? Again very interesting article. Well done. Not only provided me with facts I didn’t know, it has also given rise to further questions.